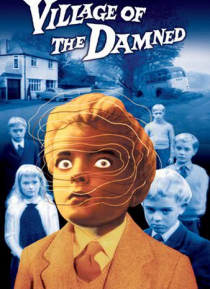 After a mysterious blackout, the inhabitants of a British village give birth to emotionless, super-powered offspring. As the children grow, their dominance over the town increases until their leader discovers that they are the vanguard of an alien invasion. The cult classic that inspired a sequel ("The Children of the Damned") and a 1995 remake.